How much does GR20 cost? Here are a few of the prices you will come across. 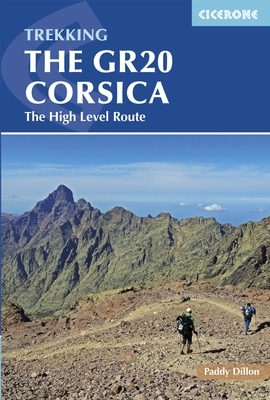 You are able to find food and drink along the GR20. All the refuges have food to sell but what their offer varies enormously and also depends upon when they were last stocked up. The refuges in Corsica are not comparable to those on mainland France. Although they propose food and drink there facilitaties are so limited, you will find that you may have to be patient when you order and you should not expect a slick rapid service. If you look objectively at the equipment the refuges have and there location, I am sure you will find that the guardians are doing a great job. The fact that you can now find food and drink along the way makes such a difference to the original back packing scenario of plodding along with a monster size rucksack. You will find that the refuges offer a breakfast, lunch and evening meal option, as well as having produce for sale in a small shop. An example of a lunch time menu would be a plate of local smoked meats, a dish of pasta, or an omelette. This costs 12 euros. 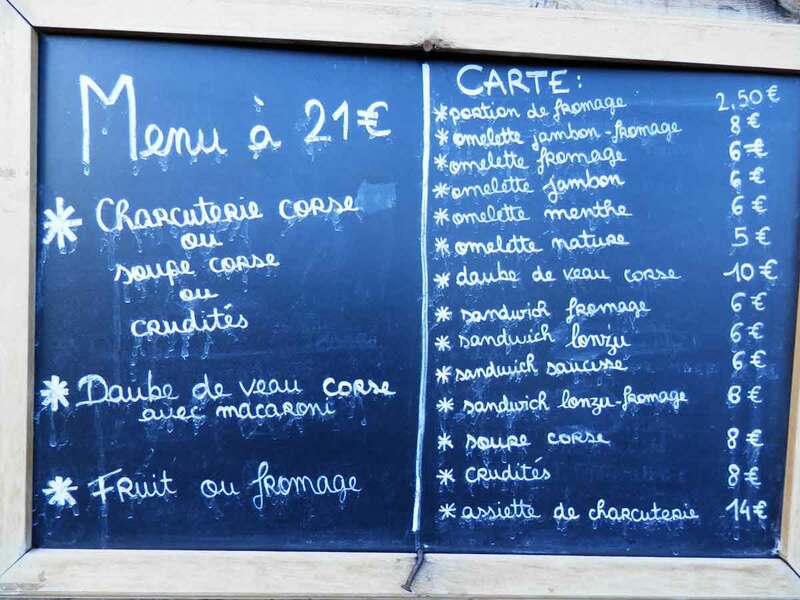 An evening meal costs 15 - 20 euros, this consists of a starter, a main meal and a pudding. Each refuge has a different menu on offer. You can also order a breakfast for the next day. Due to the early starting times, generally the guardians will prepare this for you the night before and give you a box of food for the next morning. You heat up your drink and leave as early as you wish. To reserve a night in a refuge, go on line to the website PNRC. A night in a refuge will cost you 13 euros per night / per person. If you are carrying your tent, matress and sleeping bag with you, it is possible to buy a ticket at the refuge for a camping spot only, in the vicinity of the refuge. It is an obligation, wild camping is not authorised. On the park website you can reserve 'un emplacement' this is uniquely for the camp spot and costs 6 euros. The park has stocked the refuges with tents. You will find that some of them are often left up. The majority of the tents are pop up style that are thrown up and bounce into shape. Folding them down is a lot harder! As well as the tents, you will find that mattresses are also made available. For a night in a tent provided by the park, this will cost 11 euros per person. I would strongly advise reserving a place on the PNRC website before hand. You should also go armed with proof of payment, it's worth printing out your reservation to give to the guardian. To get to the start of the trek, the cost will depend if you are taking the ferry, or plane and once on the island, your budget will vary according to whether you are going to use public transport or taxis. The price will also depend upon what period of the year you choose. Hotel prices will go up considerably in July and August. If you don't take a direct flight, its always a good idea to use either Nice or Marseille as the change over place, as opposed to, Paris.